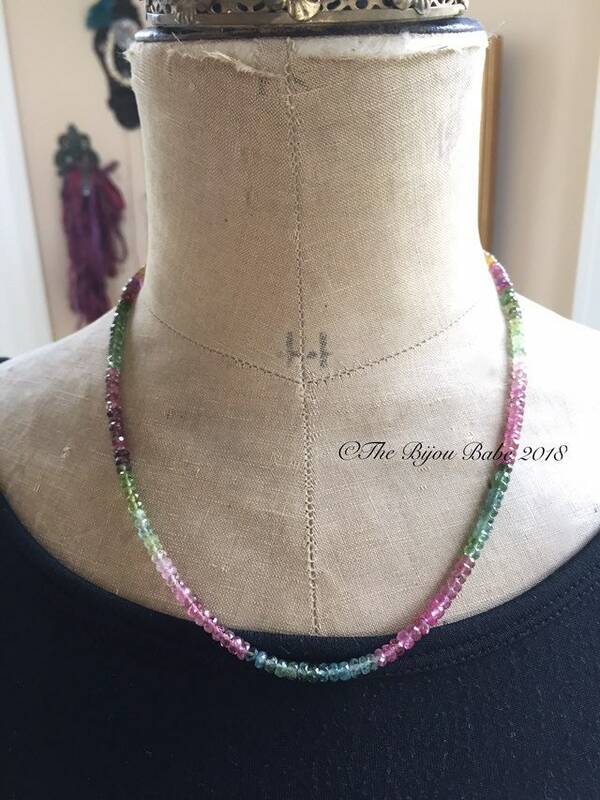 Exquisite tourmaline were used to create this classic 18" luxe necklace. The stones are deeply saturated with color, are transparent, and have gorgeous faceting. Shades featured are pink, blue, green, yellow and rubellite. 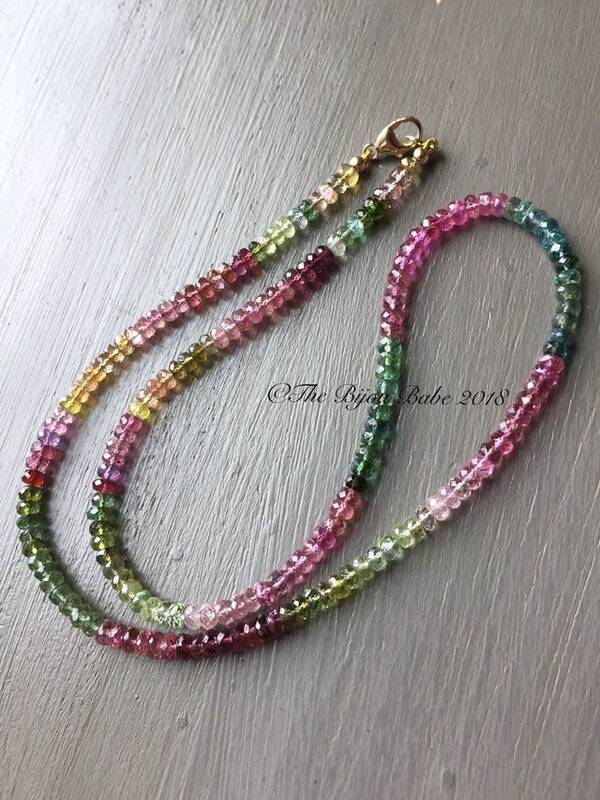 The rondelles measure approximately 3.5-4mm and are perfect for a stand alone necklace, or for layering. The closure is a solid 14kt gold lobster claw for this luxury piece. Your tourmaline necklace will ship USPS Priority Mail with tracking and insurance in the US, and first class internationally. Please contact me to upgrade your international shipping to include tracking and/or insurance.